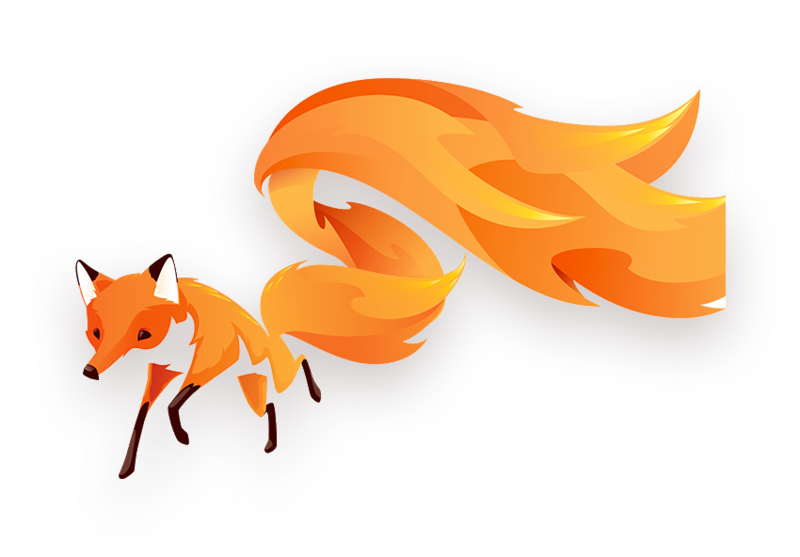 Content Services at Mozilla provided in-browser promoted content experiences for advertisers seeking higher-quality relationships with their audienceÂ and who choose Mozilla Content Services in order to have a future-facing, ethical partner with scale. 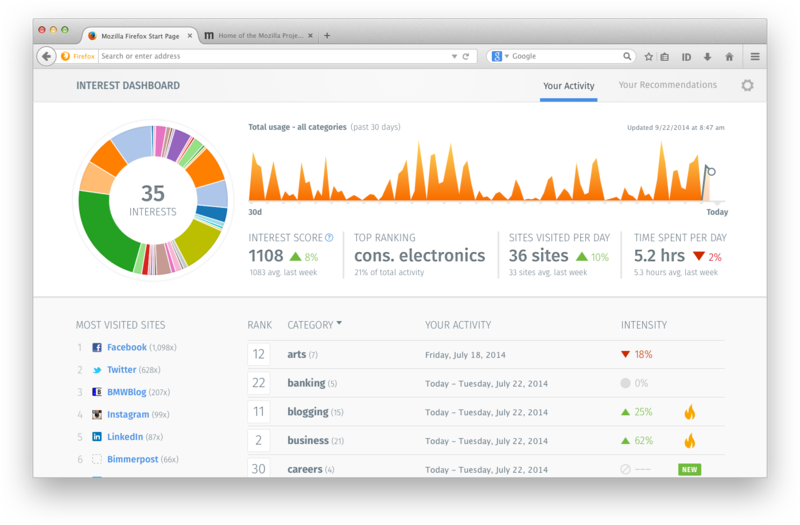 The main goal of the Personal Interest Dashboard is to provide users with a visual representation and analysis of interests based on their browsing behavior. In addition to that, it aims to help users discover new content on the Internet related to that. This is a recommendation engine that is powered by your browsing behavior. It displays interests related to a user's browsing history and searches. 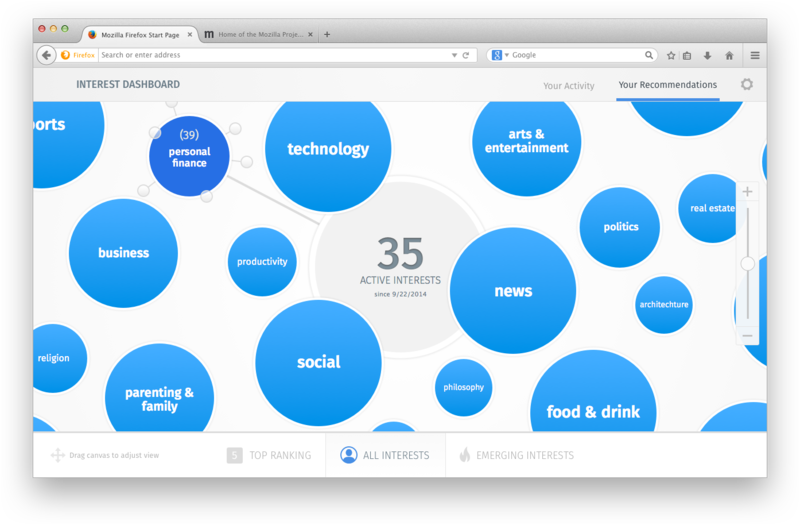 A click on one of the interest bubbles displays site recommendations on the screen.